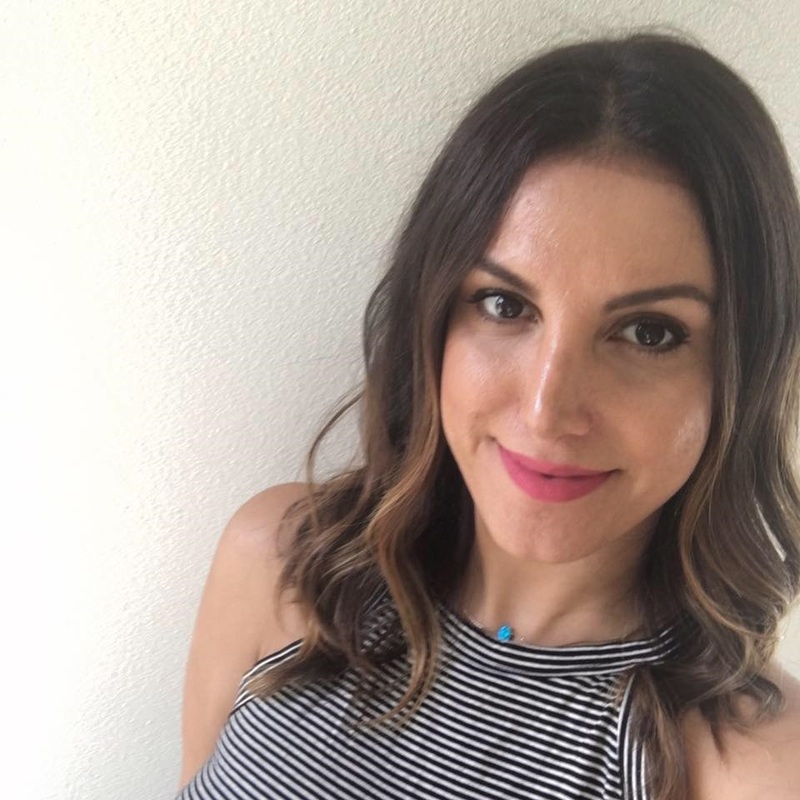 I love reading her recipes just for fun and they usually spark some ideas for me to make yummy things at home. 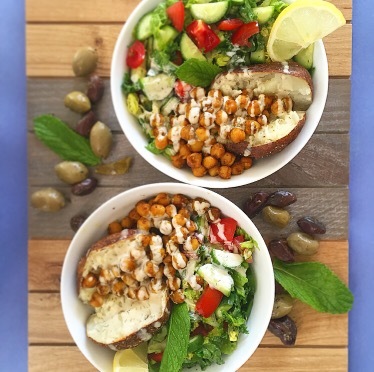 These delicious bowls were inspired by her creative baked potato recipes. She has a few of them and they look delish! In my family, a meal just isn’t a meal if it isn’t served with salad. 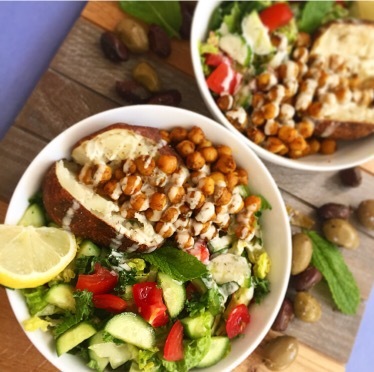 And so I present the Mediterranean Baked Potato Bowls! The perfect macro meal! (I think, I’m still not really sure what a macro meal is…) But these bowls have it all – healthy veggies, good carbs, plant-based protein, and a creamy sauce. Can we just make cream sauces a part of the food pyramid already? I hope you enjoy these as much as I did and I really hope they inspire you to make your own version at home. That would be my dream come true. 1. Preheat oven to 425 and line a baking sheet with aluminum foil. Scrub your potatoes and pat dry with a paper towel. Poke them with a fork a few times all around. Rub them with a little olive oil, using your hands. Sprinkle with sea salt and bake for 50 minutes. Remove them every 20 minutes or so to move them around in the pan to ensure an even crispy skin all around. 2. Prep your salad but chopping everything and adding to a bowl. Top with salt and pepper and mix well. Set aside. 3. Drain & rinse your chickpeas. Heat up a tbsp of olive oil in a medium sauté pan. Add chickpeas and spices. *If you can’t find shawarma seasoning just use cumin, garlic powder, onion powder, smoked paprika, cayenne pepper, turmeric, cinnamon, & coriander. * Sauté chickpeas while shaking them around the pan for about 5 – 7 minutes until they are cooked through and crispy on the outside. 4. In a small bowl mix tahini, lemon juice, dry dill, salt & pepper. Add a splash of water if it needs to be thinned out a bit more for easy drizzling. 5. When your potatoes are crispy on the outside and soft in the middle they are ready! Cut them in half, assemble your bowls and enjoy it VEGANLY much!! Yummy and lip smacking delicious!